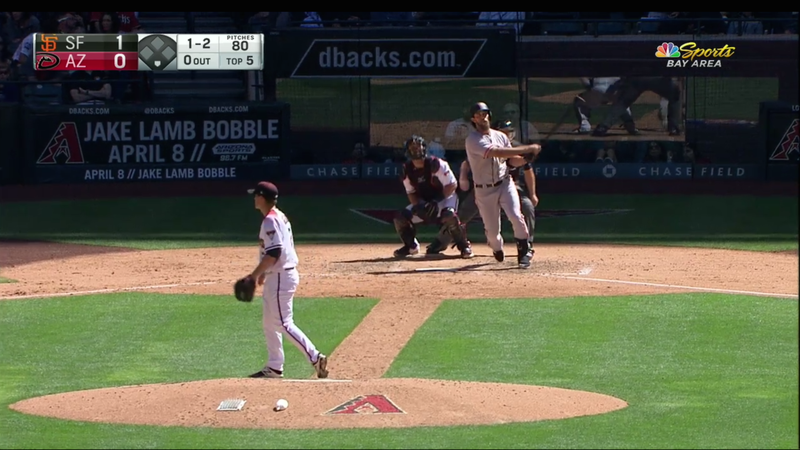 In the first four innings today, Madison Bumgarner was perfect—12 batters up, 12 batters down, five strikeouts. In the fifth inning today, he was perfect in a different sense—smashing a dinger. For those keeping track, that’s Bumgarner’s 15th career homer, the most of any active pitcher. Update (6:15 p.m.): And here’s No. 16, two innings later, goddamn.